I hope you had a chance to visit last week party. I enjoyed seeing all the beautiful decor, DIY projects and a ton of amazing recipes. Lets take a look at some of those posts. Pat at On Crooked Creektt made a a gorgeous Spring wreath. Stacey at Poofing the Pillows shared a beautiful home tour. Sheila at My Kentucky Living decorated her kitchen for Spring beautifully. Fabby at Fabby's Living created a gorgeous Spring tablescape. 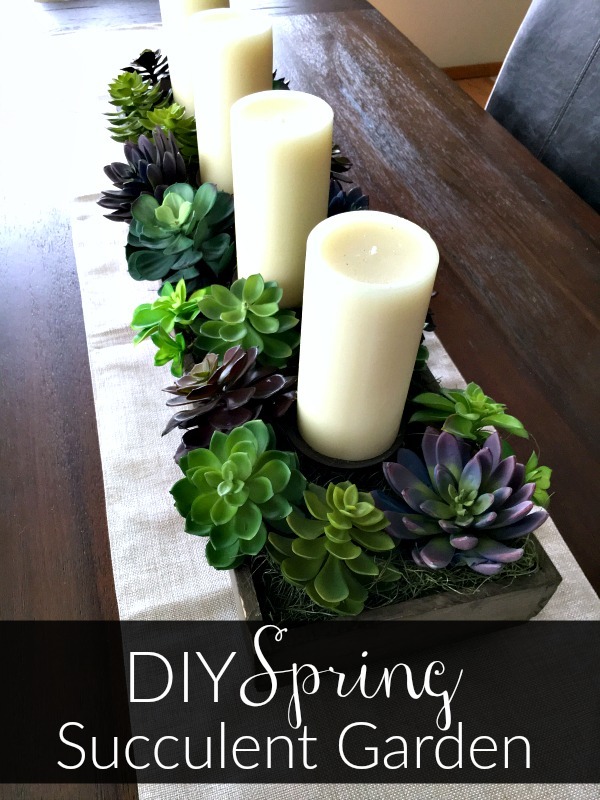 Laura at Inspiration For Moms made a beautiful succulent garden table centerpiece. Brandie at Home Cooking Memories shared a great recipe for Chicken Caesar Salad sandwich. 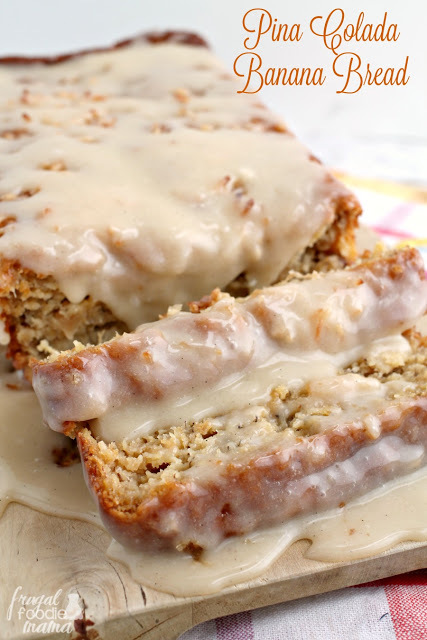 Carrie at Frugal Foodie Mama made Pina Colada Banana Bread. Looks delicious! 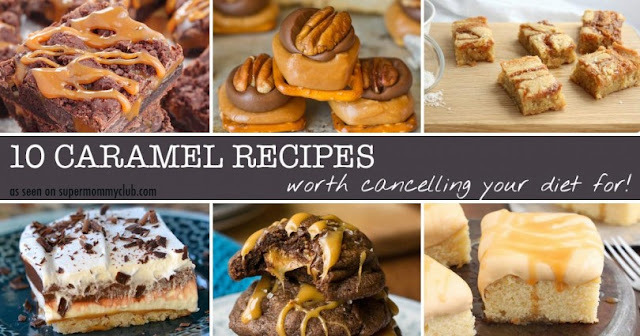 Clare at Super Mommy Club shared a great collection of 10 Caramel recipes. Linking up with you again today. Thanks so much! 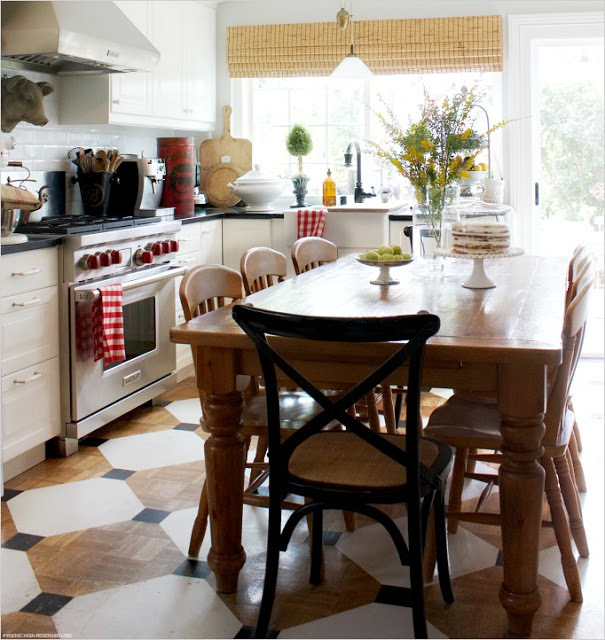 Thank you for featuring my kitchen...and shades of green. So sweet of you. Wow- some great features here! I need to check out that home tour at Stacey's. Thank you for hosting! Thanks so much for hosting Maria Elena! Hope you are having a good week so far. Thank you Maria Elena for Tuesdays At Our Home 157. Have a great week. What a surprise, dear friend! Thank you for hosting Tuesdays @ Our Home! each week! OMG, what a great surprise for a Monday! Thank you so much for featuring my Spring table, I feel very honored to be chosen, dear Maria Elena! Thank you for hosting again this week and for having me too. Thank you for hosting. I joined in this week, and I look forward to doing lots of visiting. Blog inspiration during the spring is just wonderful! Thanks for hosting! Great features this week. 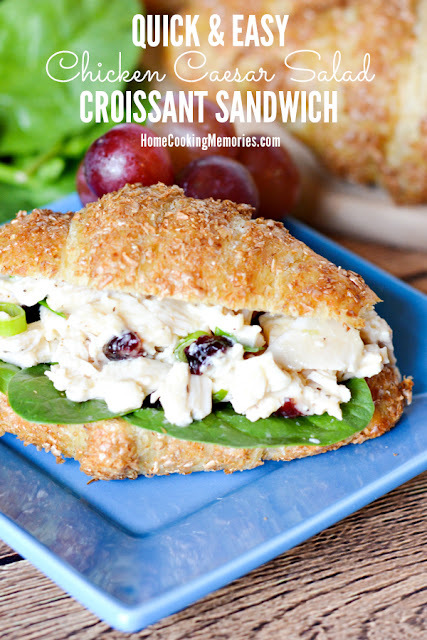 I'm drooling over both that sandwich and that awesome kitchen - great features! !